It's officially party season what with Christmas and New Years right around the corner, and whilst I'm not exactly a wild, party girl, I enjoy going out for a glamorous meal as much as the next person. 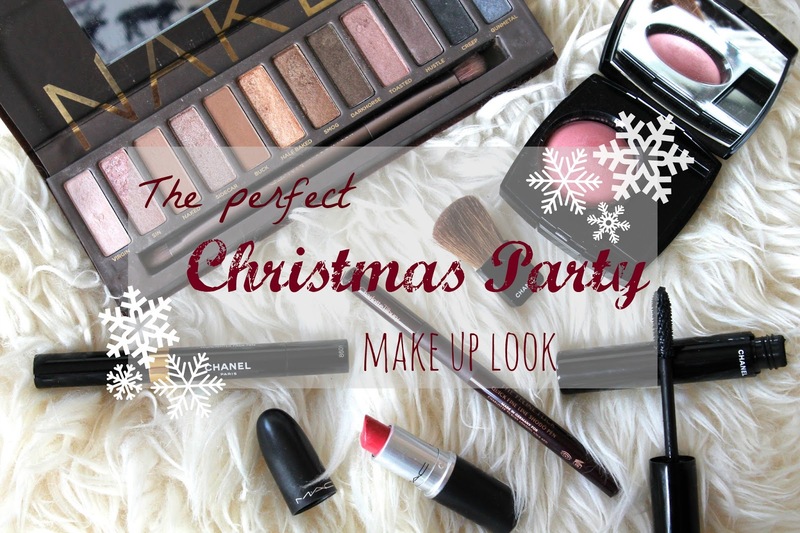 So for todays post I've compiled some of my favourite products to make a gorgeous makeup look - perfect for any christmas night out. For me, winter makeup looks are all about the sparkly eyes and stunning red lips. Nothing screams christmas more than a bronze / gold eye paired with warm, buttery burgundies. And of course long, fluttery lashes pull the whole thing together. First up, I'm loving highlighting concealers at the moment. This one by Chanel is perfect for adding touches of light under the eyes whilst simultaneously covering all dark circles. Whilst it isn't the most budget friendly it oozes luxury and quality. Next up, my main base. First off let me just apologise for how disgusting and gross this powder looks, I even have a new one in the drawer that I could have photographed. This powder is perfection in a pot but I'm not going to talk too much about this as I constantly do. Just know that it gives the perfect coverage whilst maintaining a natural no-makeup look. For blush, of course I'm going to be using my new Chanel in the shade 060 Innocence. This gives a gorgeous pink glow to your cheeks without being overpowering. The little brush that comes with it is really good quality as well, unfortunately the wrong shape to apply blush but I think it could work nicely as a travel sized contour brush. Next up the eyes. Ahhh my Naked palette, we've had some fabulous times together. Overall I think the Naked 2 is my favourite but the lovely warm shades of brown and gold in this are perfect for winter time. If you haven't tried any of the Naked palettes I would highly recommend them as lovely high-end everyday colours. For my look I'm first of all using my personal favourite shade Half Baked as an allover base colour. It's the most stunning, sparkly gold that literally seems to leave flecks of actual gold dust on my eyelids. I'm then working Virgin into the inner corners and along my lash line to create the perfect highlight. My experience is if you use a light colour above your upper lash line, it makes your eyes look larger and your lashes longer. Lastly, for the crease colour I'm using Hustle, a delightful aubergine, brown colour. Purples make lovely alternatives to browns and greys as crease colours as they're warmer and less intense. If you're not looking for a super smoky eye then this is right up your ally. For eyeliner I'm doing a traditional cat eye flick with my absolute favourite Charlotte Tilbury eyeliner. 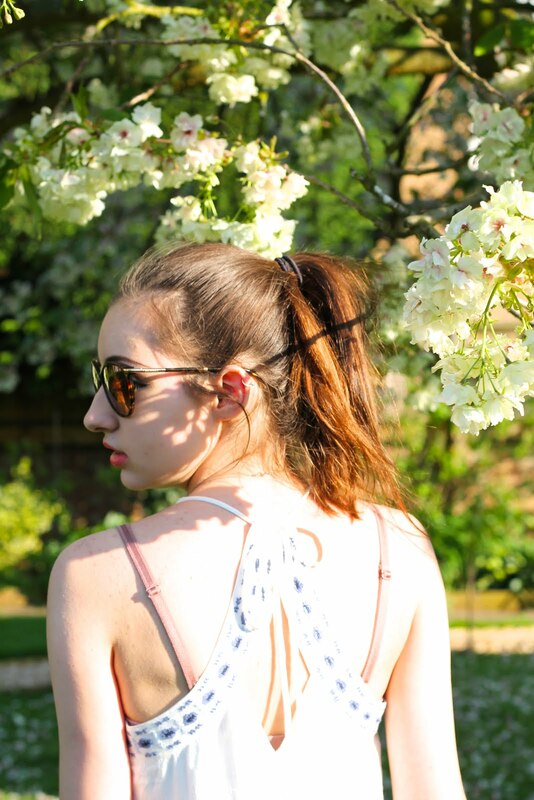 This is so perfect for creating precise wings and literally stays in place for days. My all time favourite mascara is the Volume De Chanel. Whilst the brush takes a little getting used to, my lashes have never looked so long and full. I accidentally bought the waterproof one but nonetheless it's still brilliant. And lastly the lips. 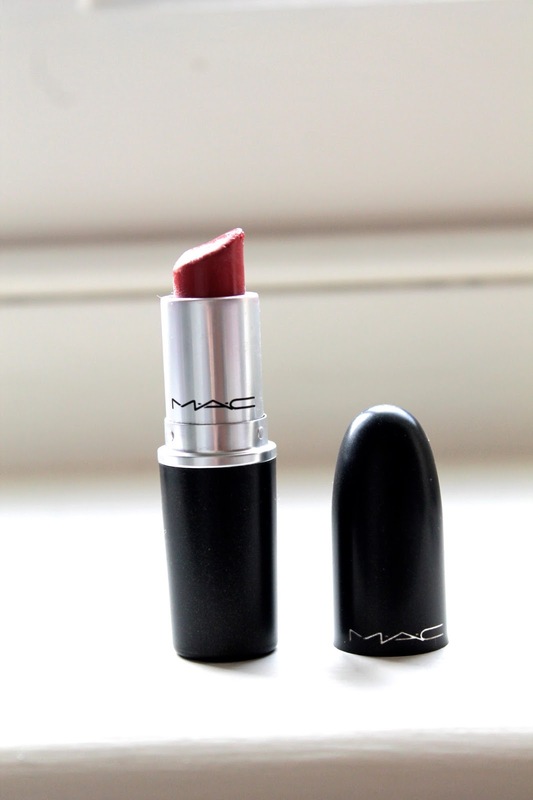 Nothing screams Christmas like a lovely red lip, and none are more fabulous than MAC See-Sheer. This lipstick is sadly coming to the end of its life but I will be repurchasing my third one of these as it's my all time favourite colour! With a buttery and moisturising texture and perfect pigmentation - you literally cannot go wrong! Okay so that's it, I hope you guys enjoyed this post, I'll be back soon with some more festive goodness! Need that red lipstick, brilliant look! I love the shade of that lipstick! I really need to get the naked palette, the colours in it are stunning!